Force yourself to spend time with people that are not like you. We all want to surround ourselves with like-minded people, whether it’s our team or our audience who loves us. Of course, we’re seeing the perils of this basic element of human nature in today’s society and it’s troubling. I consider the most interesting part of my job to be to understand those who aren’t convinced of the importance of ocean conservation to our future or the urgency of taking action on its behalf. I’ve grown up in a world of privilege and we all need to work much harder to find a universal motivation for the change we want to see. 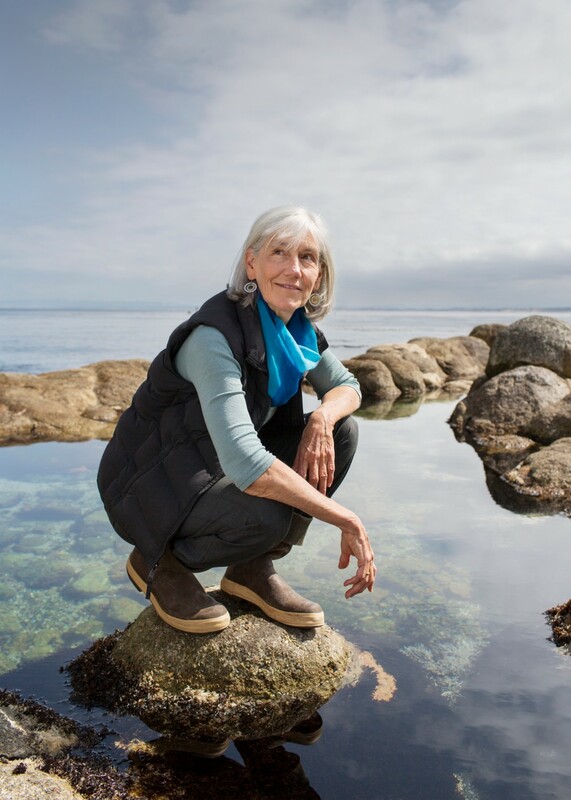 I had the pleasure of interviewing Julie Packard, founding executive director of the Monterey Bay Aquarium. She is an international leader in ocean conservation, and a voice for science-based ocean policy reform. 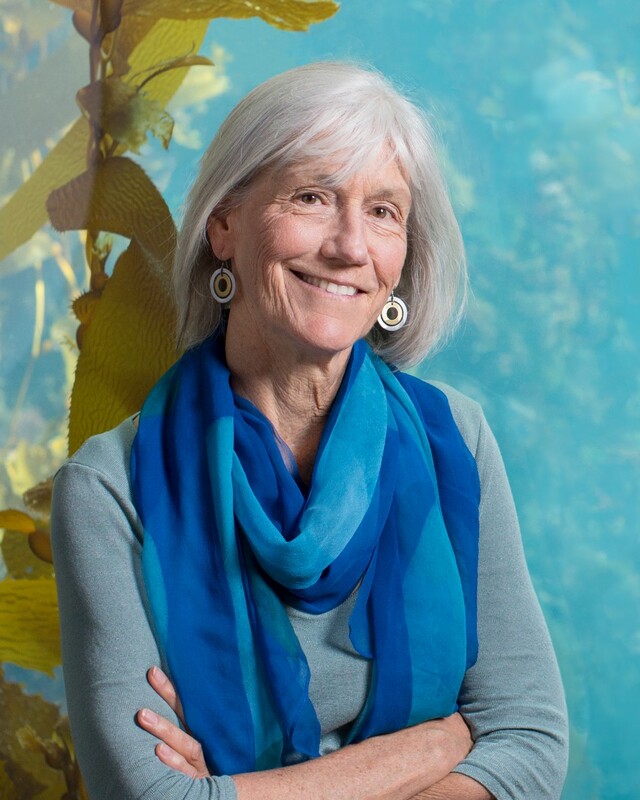 A marine biologist, she is a trustee of the David and Lucile Packard Foundation, and chairs the board of the Monterey Bay Aquarium Research Institute, a world leader in deep-ocean science and technology. 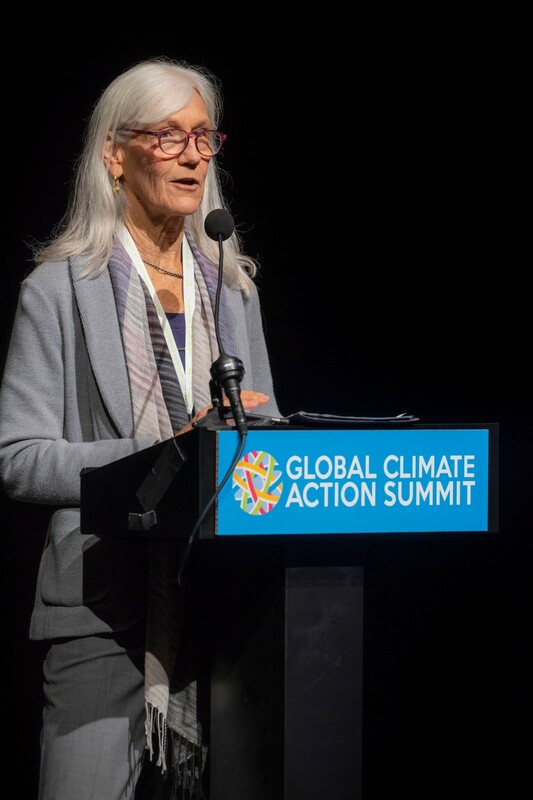 She’s a Fellow of the American Academy of Arts and Sciences, and has addressed ocean issues as a featured speaker at the Global Climate Action Summit, the Economist Ocean Summit, at Our Ocean conferences and the World Trade Organization. I grew up in the ’50s, in the foothills of what is now known as Silicon Valley. Our family time together was always outdoors, whether working in our apricot orchard or enduring long rides in the back of a Jeep at the family cattle ranch. By the time I reached college, many of the California landscapes I knew and loved had been lost as the human imprint of our state’s prosperity took its toll on nature. I knew by then that I wanted to immerse myself in not just doing science but doing good with science. The mission of the Monterey Bay Aquarium is to inspire conservation of the ocean. We aim to help people know more, care more and do more about ensuring a healthy future for the ocean, on which all life depends. That’s a hard thing to achieve because we humans aren’t wired to think much about the ocean. For most of us, the ocean’s role in our lives is out of sight and out of mind. We know now that’s a dangerous assumption. We need to act as if our lives depended on the health of the ocean. Because they do. At the Aquarium we’re focusing on three strategies, starting with creating an inspiring and engaging experience for people during their visit. We want them to fall in love with the ocean. From there, we want them to stay engaged and join us in working for a healthy ocean future. We’re building a global constituency for ocean conservation that goes far beyond the Aquarium itself. Second, our team is working to solve the most critical barriers to restoring ocean health: transitioning to sustainable seafood, protecting ocean wildlife and ecosystem health, reducing plastic pollution and stemming climate change. Our global fisheries and aquaculture team works around the world with business on markets-based solutions to create and meet the demand for sustainable seafood. Finally, we know that engaging young people is essential, especially in our increasingly urbanized society that’s so disconnected from nature’s services. Our third strategy is to create the next generation of ocean leaders who are ocean literate, inspired and ready to act on the ocean’s behalf. Next year we’ll be opening our new Bechtel Family Center for Ocean Education and Leadership, enabling us to double the number of students, teens and teachers we reach with programming each year. We know that climate change is the single greatest threat to the health of the planet — and to all of humanity. So we’re working on a number of fronts to address climate change and ocean acidification. Our most powerful work is educating our 2 million annual visitors about the ocean impacts of climate change and acidification, and what they can do to help solve the problem. We also encourage our online audiences, including 3 million social media followers, to take action on climate — both through individual behavior change, and at the community and state level. We administer the website, climateinterpreter.org, which provides climate change communications resources to staff at visitor-serving institutions reaching tens of millions of people across America. Of course, we’re also working on our own business operations. In September, at the Global Climate Action Summit, we announced our commitment to achieve zero net greenhouse gas emissions by 2025. One way we aim to get there is by transitioning our vehicle fleet to 100% renewable power. Earlier this year, we became the first business in our region to enroll in a new community-choice electricity option drawing only from wind and solar power, offered through Monterey Bay Community Power. We’ve been cutting our emissions in other ways, too — from energy-efficiency measures to offering employees free bus passes and interest-free bike loans. To cover emissions we can’t prevent, we purchase carbon offsets. Our new education center will be LEED Gold certified. In our foodservice operations, our culinary partners source 90% of the produce and meat they serve within 90 miles of the Aquarium. Our local waste management district collects our food waste, transforming it into electricity and high-quality compost. As a science-based institution, we conduct research on the ocean impacts of climate change — both on our own, and in collaboration with our colleagues at the Monterey Bay Aquarium Research Institute. We work to influence climate policy as well. The Aquarium was one of the first cultural institutions to sign on to We Are Still In, a coalition of more than 3,500 U.S. businesses, cities, universities, cultural institutions, health care organizations, faith groups, states and tribes that committed to climate action to meet the 2015 Paris Agreement targets, after the federal government announced plans to withdraw from the historic global climate accord. The Aquarium helped develop ocean-based targets contained in the Ocean-Climate Action Agenda, which formed the foundation of ocean events at September’s Global Climate Action Summit. 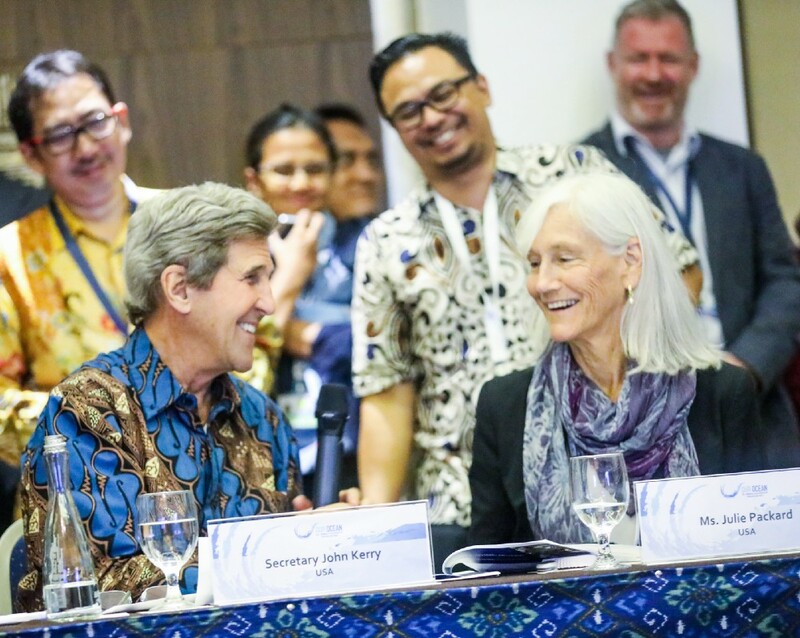 We urged private and public sector participants to take action for ocean and climate health. We’re a founding participant in the International Alliance to Combat Ocean Acidification, and we continue to engage with elected officials, especially in California, advocating for science-based policy action to address climate change and ocean acidification. Those of us who had the idea to create the Aquarium knew a lot of marine science information, but we had no clue about aquarium system design or animal care. We had to find experienced, smart people in a range of fields to build our team. When my father asked me to take on the project director role at age 27, I found myself supervising people twice my age and with vastly more knowledge and experience. I had absolutely no business training and relied heavily on my father’s leadership values — work hard, listen, always treat people with respect and admit what you don’t know. So in terms of advice, I would say hold onto your vision but invite others to help shape it. Looking back, many of our ideas were naïve or not worth doing; luckily some of the adults in the room kept things on track and of course, helped create ideas far better than our original concepts. The Monterey Bay Aquarium is a 501c3 not-for-profit organization built with a single incredibly generous gift from David and Lucile Packard, so we had the good fortune of opening our doors fully funded and with no debt. Since opening we’ve funded a host of new exhibits and have grown programs in education, conservation and science, all with contributed funds. We’re just completing a six-year campaign that raised over $200 million. People are willing to invest because they know and love the Monterey Bay Aquarium — our visitor experience, our science-based conservation work and our integrity. Of course it’s another story for those raising funds to start a for-profit, where investors are looking for a financial return. I applaud those working in this space and see huge opportunity to bring more resources to bear on solving the urgent environmental problems we face. I truly hope that more people will be willing to invest in higher risk and lower return ideas to advance the betterment of our world. I can say that many foundations and donors are growing their mission investing portfolios, so I think the opportunity for founders is there. I’m a huge believer in the power of business leadership in environmental solutions. The growing global sustainable seafood movement, in which our Seafood Watch program has driven major gains by partnering with seafood industry leaders, is proof of the power of this strategy. When it comes to climate change solutions, the same will be true — innovation and scale will come from business, as well as continued investment in public funding for research. But as with global fisheries regulation, effective government policy is absolutely essential. Markets-based solutions and good governance must go hand in hand. While inventors and entrepreneurs are on their way to creating a green energy future for us, in the meantime we’re losing our best defense against the impacts of climate change as we degrade the functioning of ocean ecosystems. Our use and abuse of the ocean and atmosphere affect every human life on the planet and everyone deserves a voice in the future of our shared natural resources. What are some practical things that both people and governments can do to help you address the climate change and global warming problem? Each of us can contribute to climate solutions. Take steps to reduce your own carbon footprint. Support climate-friendly businesses and products. Join us in advocating for policy solutions at the local, state and federal level, from climate change adaptation planning to public transit funding to carbon tax proposals. California has shown amazing leadership on climate change solutions. The current action will be at the state and local level, so elect the right people to office, those who see the urgency — and the potential — of a clean-energy future. I will be forever grateful to my father David Packard for giving me the opportunity to lead the Aquarium. He wasn’t always fun to work for and you definitely knew where you stood, but he invariably led us to the right conclusion at every step of the way. His core qualities — integrity, humility, curiosity, and belief in people — are values that I try to live by and expect our team to do the same. He was smart and impatient, and if you talked to long making a point he’d start to twirl his glasses. We all knew that was time to wrap it up fast, or else. I’ve considered honing my communication skills to be a life long journey, and I’m still at it. 1 .Communication is the most important skill to enable success, whether with your team or your customers. When we started the Aquarium, we assumed the public would be fascinated with what fascinated our founding gang of biology nerds. When we opened our doors and observed what people responded to at the Aquarium, it was an eye opener. I love the challenge of figuring out how to engage people. We’re still at it! 2. People are looking for vision and inspiration, whether you’re running a for-profit or a not-for-profit. Don’t be afraid to step up, even if you’re an introvert by nature like me or feel you’re too young or not qualified for the job you’re in. Find your voice and craft a compelling and positive message. 3. Invest in market research and listen to what the data say. Like most people trained in the natural sciences, I started out with a dim view of social science research and the claims made from it. I quickly realized that imperfect as the body of research may be, it’s the only tool we have to assess our mission impact — whether it’s the value of an Aquarium visit or the effectiveness of our social media. 4. Force yourself to spend time with people that are not like you. We all want to surround ourselves with like-minded people, whether it’s our team or our audience who loves us. Of course, we’re seeing the perils of this basic element of human nature in today’s society and it’s troubling. I consider the most interesting part of my job to be to understand those who aren’t convinced of the importance of ocean conservation to our future or the urgency of taking action on its behalf. I’ve grown up in a world of privilege and we all need to work much harder to find a universal motivation for the change we want to see. 5 . While women’s leadership in the not-for-profit world is more prevalent than in the for-profit world, business is still a man’s world. It’s no secret that every women in any kind of leadership role needs to steel herself for a lifetime of disingenuous remarks, insulting attitudes and for many, even worse. This was a surprise, having grown up in the ’60s during the feminist revolution. I hope the elevated conversation happening now with the #MeToo movement will lead to a new day. You are a person of great influence and doing some great things for the world! If you could inspire a movement that would bring a great amount of good to the world, what would that be? You never know what your idea can trigger. In my perfect world, people would demand that businesses and governments take a longer-term view on our use of natural resources, from water to forests to fisheries. If people had immediate, transparent, science-based information showing the resource impacts of our consumer choices and lifestyles, our farms and factories, we could make quantum-leap progress. The Aquarium’s Seafood Watch program has helped spur a global revolution to transform fisheries and aquaculture practices, with the goal to bring food security, economic prosperity and a healthy environment to millions of families across the world. We have yet to harness the true power of consumer and business leadership in driving change.